Jessica Alba can measure her Honest Company's success by the size of its offices. "This is my fourth office -- for the company, the third office -- and when we first started, we had $1,000 to build it," Alba told Architectural Digest's website. "The second, I think we had barely more than that. This office we had a more significant budget. There was nothing here, so we had to start from scratch. I wanted to have a more sophisticated look and feel. In the other office, I personally did a lot of the decorating myself, with someone from customer service, with a hammer and a nail and tried to ‘pretty up’ the office. But this time we had a professional team." 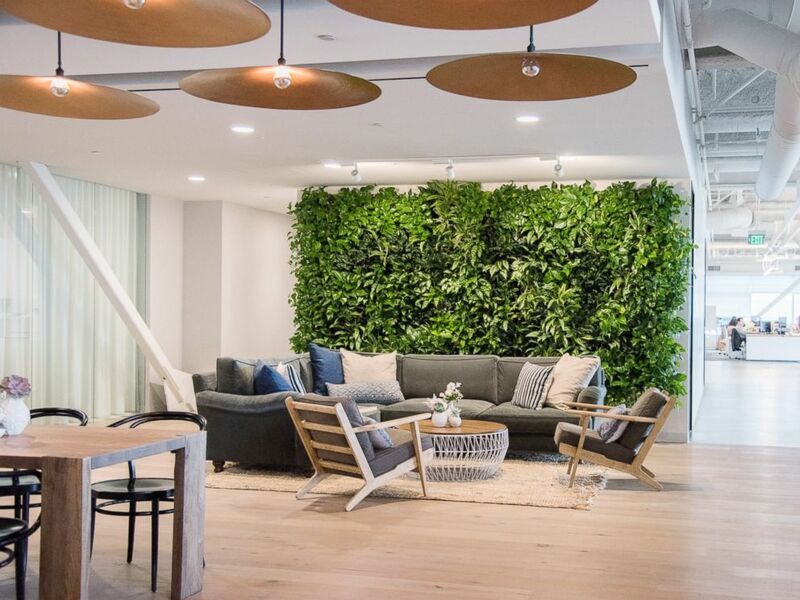 Before Alba and her 450 employees moved into their new Playa Vista, California, office, she called on Mat Sanders and Brandon Quattrone from Consort, who also designed her home. "Mat and Brandon were really great collaborators -- they really get my vibe," Alba told Architectural Digest. "I like vintage and some new things; I like luxe fabrics, but I don’t care about [them being] designer necessarily. I also need things that are going to be durable because I have kids and animals, and I want everything to feel cozy and I want things you can sit on and put your feet on. And I wanted that same vibe in the office." "Jessica loves green design, and she loves things that are locally sourced," explains designer Brandon Quattrone. That's exactly what she got for the office, which has a different style than her more traditional Spanish-style Beverly Hills home. 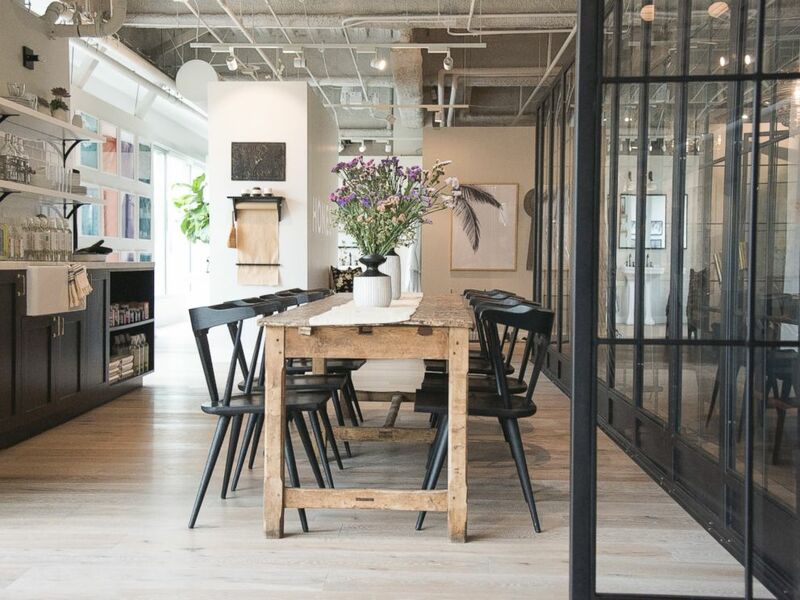 The Honest Company office is more crisp and modern with black and white elements, featuring a large communal kitchen, lounge areas and a showroom for the company's more than 100 eco-friendly baby, personal care and cleaning products. "I wanted many unconventional spaces that had a home vibe, but you could also plug in your computer and you can have meetings with multiple people," Alba explained. "We have lots of whiteboards; you know it’s still a work space. But the comfort level is you can throw your feet up, you can get your work done on your own. I just didn’t want it to feel like an old stodgy corporate office. I wanted it to feel cozy and warm like a home, but still have all the conveniences of an office." The office in Playa Vista, California that houses The Honest Company's 450-plus employees was completely empty when the company moved in. Jessica Alba worked with an architect before hiring design firm Consort. Alba's own personal office is decorated with artwork from her two daughters, Honor, 8, and Haven, 5. What it doesn't have is a traditional desk with computer. "Instead, I have a round table, I have a couch, [and] I have an espresso machine," she said. "I like to bring people in and we talk things out. We really tackle everything as teams. That’s the kind of boss I am." Even though she's a Hollywood actress, Alba keeps regular hours in the office like her employees. "I never think of myself as 'Jessica Alba the Actress' unless I’m going to a premiere of a movie and someone is asking me for my autograph," she said. "Outside of that, I always think of myself as 'Jessica who works at The Honest Company.'"